Ever wake up with that greasy, dirty, dull feeling? Where you just want to run over to the sink and wash your face immediately. And even worse if you have had someone stay the night, waking up next to them feeling that way is a big moment ruiner! Well I have the solution! 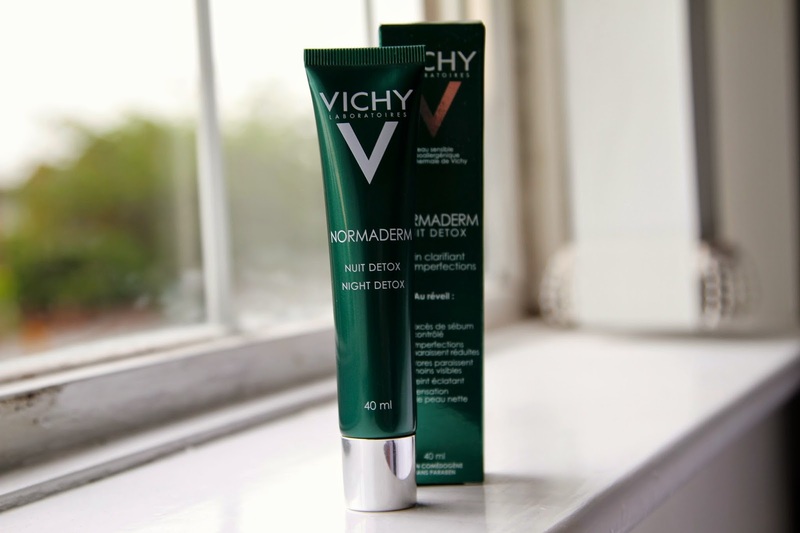 The Vichy Normaderm Night Detox cream is a simple and effective product that reduces the feeling of dirty, greasy skin in the morning by targeting a substance called sebum, produced while were sleeping. Sebum, which comes from the sebaceous gland, is an oily/waxy solution that is used to protect our skin, keeping it waterproof and healthy. Obviously, its not something we like to happen as it leaves our face feeling like we have just smothered it in Vaseline! The Night Detox solution controls this production on sebum and imperfections are reduced. When using the application, you apply a thin layer around your face and massage into the skin until the solution has sunk in. A lot of people who suffer from spot prone skin, often is caused by the release of sebum during the night and a lot of the time is the reason why our skin looks worse in the morning. The product also evens out skin texture and leaves you feeling clean and refreshed when you wake up! I feel that this brand will become very popular in the coming year and I will definitely be checking out other products in the range! I picked this up from Boots at £15.00. What are your night-time skincare secrets?